I love Banksy, you love Banksy, we all love Banksy… so I was very saddened to learn he’s put down his spray-can and gotten out of the art game to open a pet store in New York. 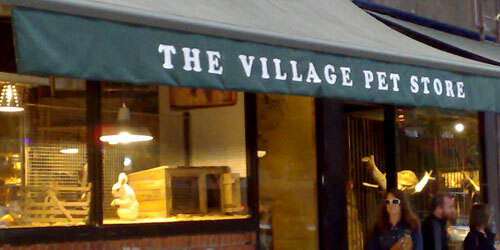 On the other hand, the store he’s opened is the Village Pet Store and Charcoal Grill – so at least it’s delicious and educational. Enjoy your new career Banksy.